Really breaking my Fall mold of pumpkin/squash/pumpkin/squash by jumping all the way to the sweet potato. 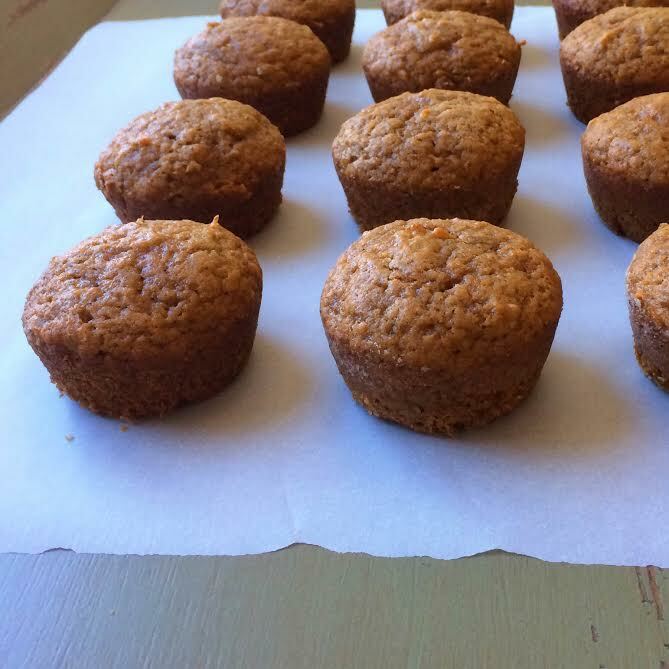 Think sweet potato casserole in muffin form. 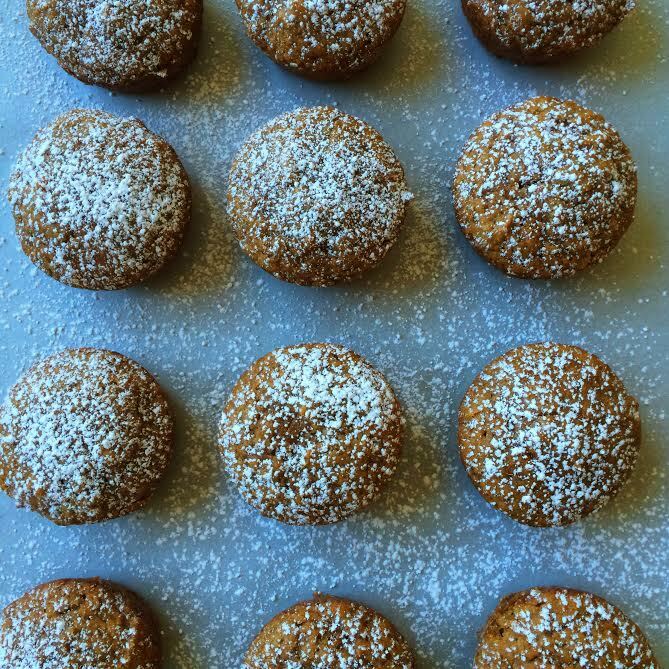 These are sweet, moist and aggressively spiced resulting in a seriously addictive treat. 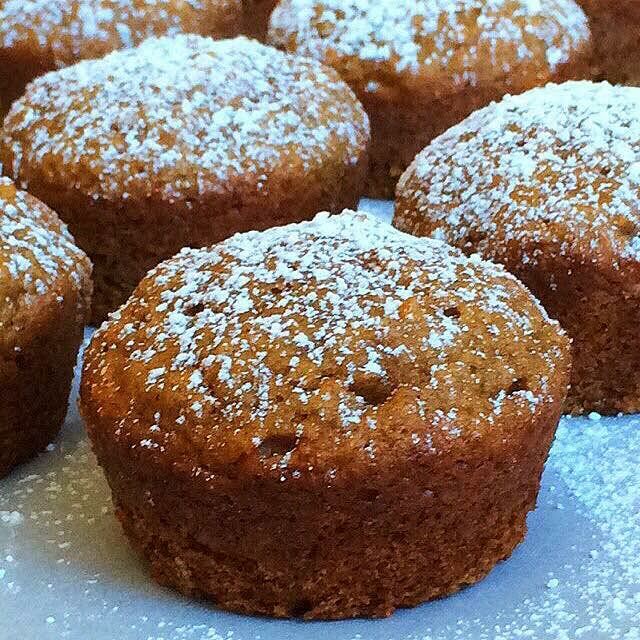 Imagine a Fall pile of cinnamon, ginger, nutmeg, allspice and cloves giving you an big hug via a soft and slightly sweet muffin. That’s what we are working with here. 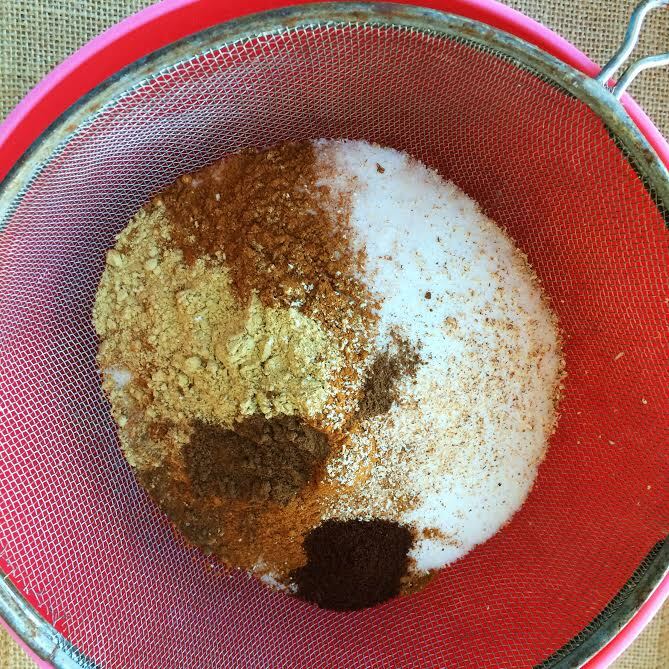 You could mix up the spices as you see fit but don’t skimp on the cinnamon. Never skimp on cinnamon. 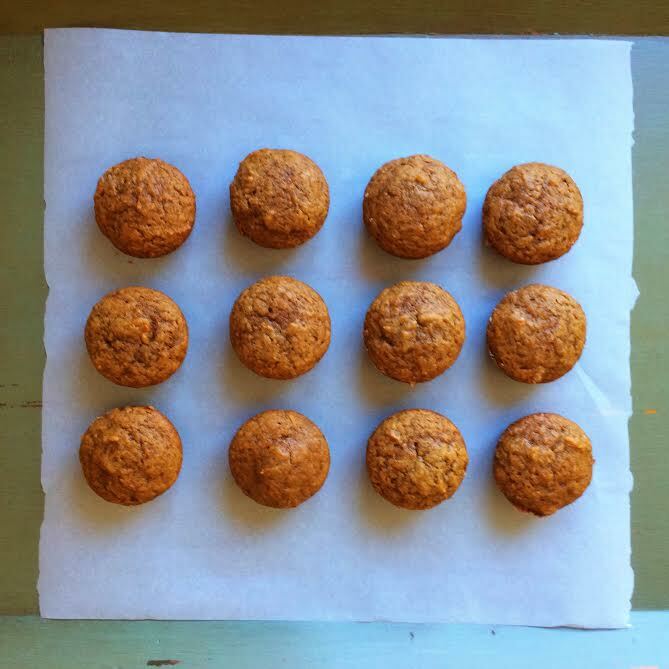 These made roughly 24 smallish muffins. However you can get the sweet potatoes to the mashed stage works. I baked mine. Grease and flour two 12 cup muffin pans and set aside. Preheat oven to 400 degrees. Bake sweet potatoes for an hour or until tender. Let cool. Scoop out insides and mash up 1.5 cups worth. To the sweet potatoes add eggs, oil, yogurt, and vanilla. Whisk until combined. In a separate bowl sift the flour, granulated sugar, brown sugar, baking soda, cinnamon, ginger, nutmeg, allspice, cloves and salt. Whisk to combine. Pour wet sweet potato mixture over dry ingredients and stir gently. Scoop (I used an ice cream scoop) batter into prepared pans. Bake for 18 minutes. Once cool dust with powdered sugar. Thanks Karrie let me know how they turn out!! !